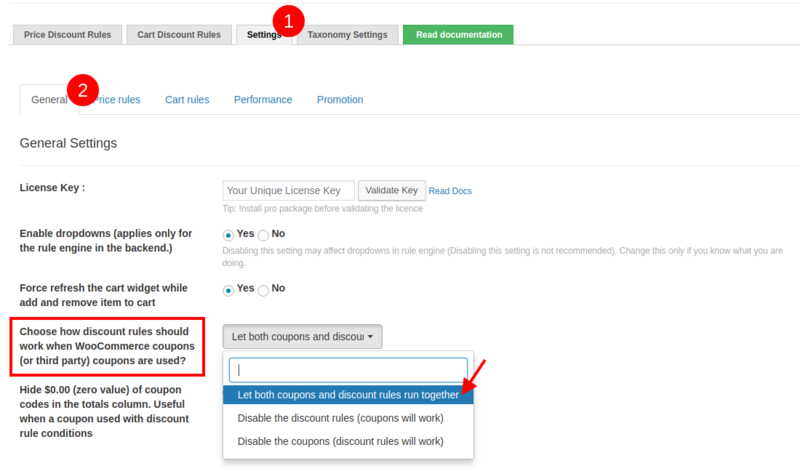 Do you have a Discount Rule and a coupon enabled ? Do you want to prevent coupons from being applied to cart when they have a discount or vice versa ? This will allow both the discount rule and the coupon to be applied. In this case, only the third party coupons will work. Discounts created from our plugin will not be considered. Any third party coupons will be restricted and only the discount rules will work. The coupons here, refer to the third party coupons that are created via Woocommerce or third party plugins. Feel free to leave your question and email by clicking the Live Chat button below or submit a support request.